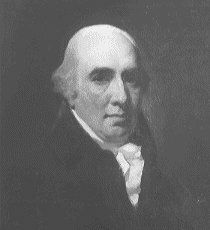 Dugald Stewart succeeded Adam Ferguson as professor of moral philosophy at Edinburgh in 1785. On the 23rd of October 1786 Dugald Stewart had Burns as a dinner guest. Burns's famous Kilmarnock edition of Poems, Chiefly in the Scottish Dialect was published in July 1786. This meeting where Lord Daer (Elder son of the Earl of Selkirk) was also present, took place at Nether Catrine House in the village of Catrine and Burns later penned 'Sae far I sprachled up the brae, I dinner'd wi' a Lord.' Burns went on to visit Edinburgh in November 1786, a journey which took two days to complete and which was undertaken on the back of a pony he borrowed from an Ochiltree farmer. Dugald Stewart was a well published scholar and his works extend to some 11 volumes. He had a wonderful command of the English language and possessed exceptional oratory qualities. During his time at Edinburgh, his lectures influenced many famous Scotsmen. He died in Edinburgh in 1828 and is buried in Edinburgh's Canongate Kirkyard. It was Stewart who first compared the city of Edinburgh to Athens, giving rise to its soubriquet as the Athens of the North. A monument to his memory was erected on Calton Hill. It is perhaps a more fitting tribute to his memory however, that his writing inspired Rev. Henry Duncan to found the first savings bank in Britain, in Ruthwell Dumfriesshire in 1810. Catrine House was built between 1819 and 1820 as the home of Dugald Stewart's only surviving son Ltn.C. Matthew Stewart. At this time Catrine was a fast growing model village created around the cotton trade. The Stewarts relocated Catrine House about one mile outside Catrine just off the A76 about a mile and a half from Mauchline. The original house was altered and added to in 1889 by Arthur Campbell. The property was demolished around 1945 due to dry rot infestation. I am grateful to Gordon Thompson from Glebe Avenue Mauchline for the loan of the above picture. 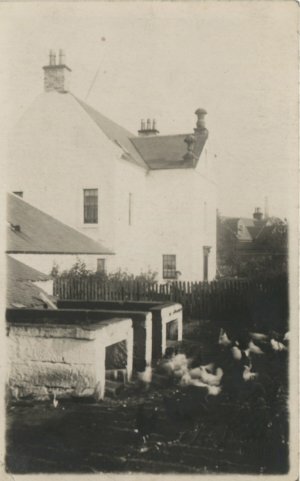 Another picture of the house from the opposite viewpoint is published in, 'The Castles and Mansions of Ayrshire,' by Michael C. Davies, which can be viewed at Carnegie Library in Ayr. The last person to live at Catrine House was a Miss Campbell, an elderly lady who was known locally to drive around by pony and trap. 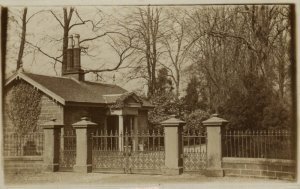 All that remains today of Catrine House is a walled garden, a small gate house with portico which dates back to 1820 and what remains of the stables and office. In recent years it has served as a local nursery but owing to the new Howford bridge being erected in 1963, what was originally the main road past this location has been totally neglected and is now unusable. The present owners are local dairy farmers and they run a small caravan site. The Caravan site is a certificated location for up to 5 Caravan Club members. 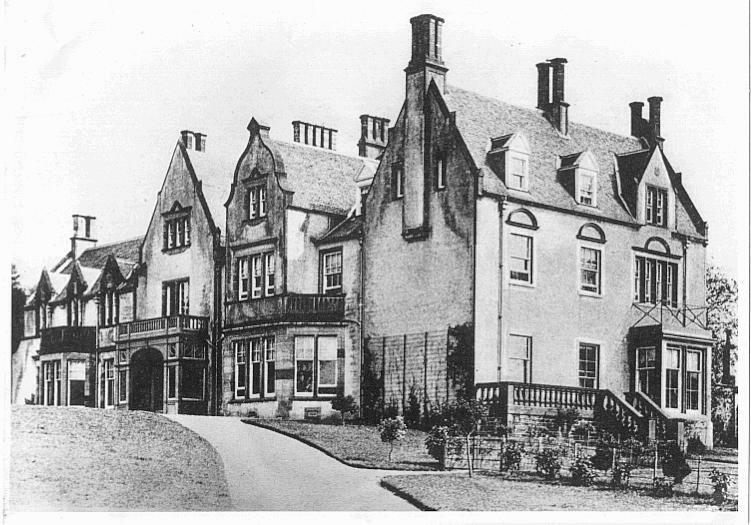 I lived on the caravan site for 20 years and this is why I became curious to know a bit about the history of Catrine House. I enjoyed my time there, during which I met many Caravan Club members who visited the area. One of the best walks in the area is still along the banks of the Ayr from Pathhead to Kingencleugh where the river cuts through a deep sandstone gorge and under the Ballochmyle Viaduct, which has the largest spanned arch ever built in sandstone. Catrine as a mill town once boasted the largest water wheel ever built in iron. The power of the river Ayr was the life blood of Catrine for over a century and brought great prosperity to the area. Today Catrine has very little industry to support it but it remains one of the most picturesque villages in what is now known as East Ayrshire. The former site of Catrine House above is now occupied with a large modern Log Cabin which is open to the public as a cafe and ice cream parlour. It has also a linking walkway to join the river Ayr walk just below the new howford bridge. This is a part of the modern times and diversification of the dairy industry has lead the former dairy farmers to add another branch to their business which is proving to be very successful. They also make their own brand of dairy ice cream. Highly recommended. If you are interested in a pictorial history of Ayrshire villages, the following site contains really valuable pictures you won't want to be without. Some of the pictures above have been borrowed from this site. You will also find many interesting views of Catrine, including the big wheel. I am always interested to hear from people who can throw any new light on the above information. Are you a Campbell or a Stewart or can you help me expand by knowledge of these families and correct or verify any of the information I have gathered? 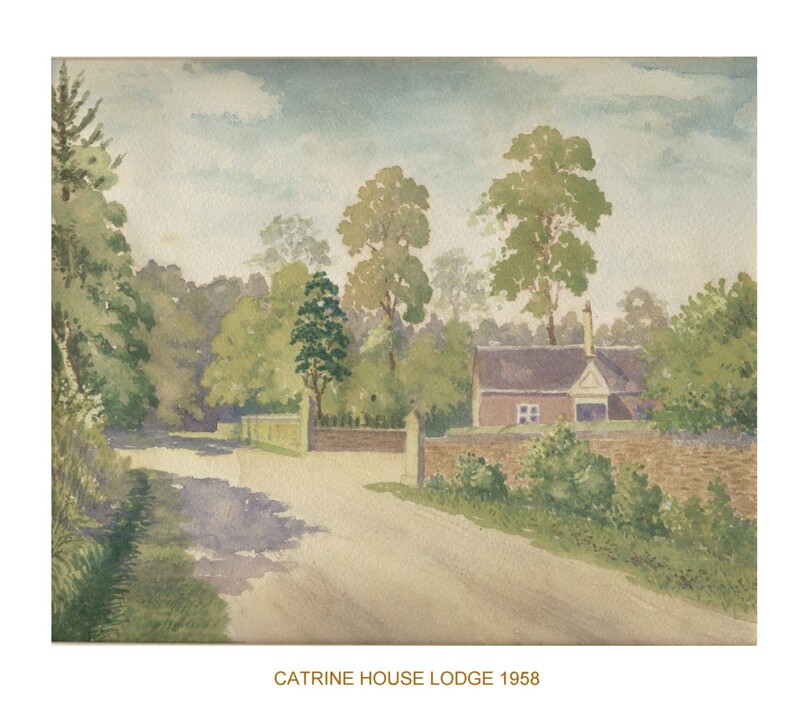 This is a water colour a friend gave me in 1988 of Catrine House Lodge above. It was painted by a local man G.S.Meikle.in 1958. Many thanks to his son Bob Meikle and Jas McDowall for information on the picture.